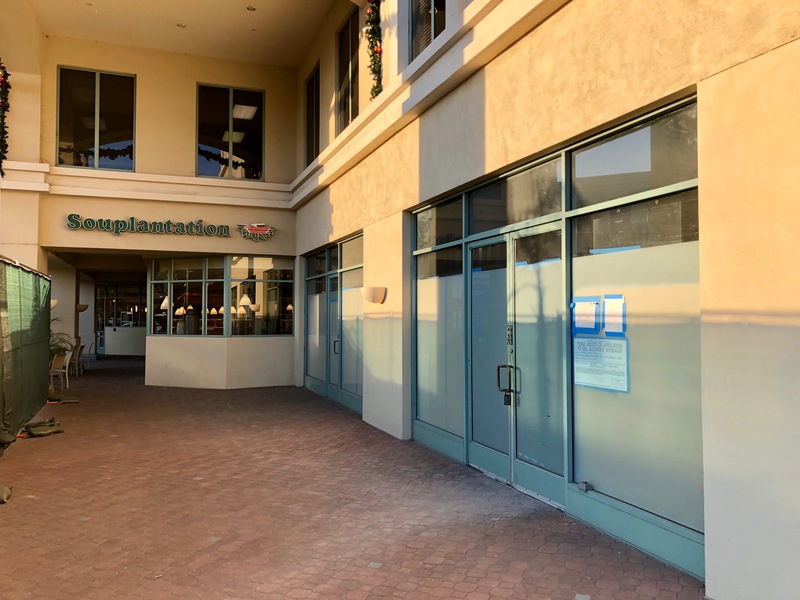 The shopping center on the corner of Montana and San Vicente in Brentwood has seen a great deal of turnover recently. The latest to try their hand at the location will be farm-to-table sandwich/salad market Mendocino Farms. 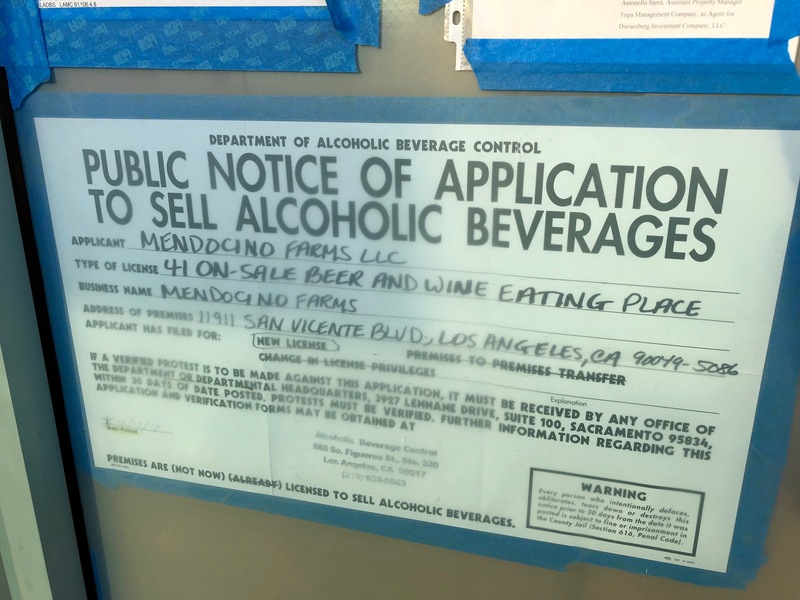 There’s an ABC license posted at 11911 San Vicente Blvd. announcing the impending arrival to the spot that once housed carb palace Noah’s Bagels. No word on an opening date, but the website promises sometime in 2018. This entry was posted in News and tagged Brentwood, Mendocino Farms, Noah's Bagels, San Vicente Blvd. by toddrickallen. Bookmark the permalink.